Greg Collins makes a guest appearance in the finale of Entourage’s seventh season. 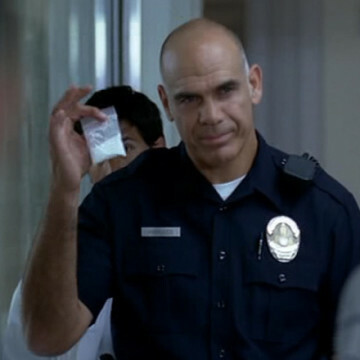 He plays the part of a police officer and confronts Vince as he leaves the hospital during the episode’s final scene. Collins is a Michigan-born actor and portrays Lieutenant Armstrong in several episodes of The CW’s Jane the Virgin.